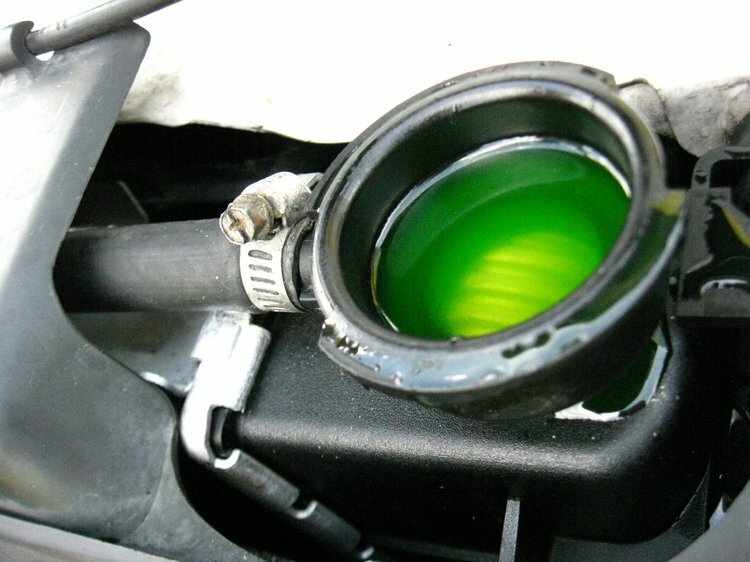 Methanol is one of the liquid chemicals found in products such as Antifreeze. What are the Causes of Methanol Poisoning? Methanol Poisoning occurs when an individual drinks methanol-containing products. What are the Signs and Symptoms of Methanol Poisoning? How is First Aid administered for Methanol Poisoning? If you suspect Methanol Poisoning, call National Poison Control Center at 800-222-1222 (or your local emergency number) and provide as much information as you can; even if the person does not have any symptoms. Who should administer First Aid for Methanol Poisoning? What is the Prognosis of Methanol Poisoning? How can Methanol Poisoning be Prevented? Goldfrank LR, ed. Goldfrank's Toxicologic Emergencies. 9th ed. New York, NY: McGraw Hill; 2011. Marx J. Rosen’s Emergency Medicine: Concepts and Clinical Practice. 6th ed. St. Louis, Mo: Mosby; 2006: 2395-2398. American Academy of Clinical toxicology Ad Hoc Committee on the treatment Guidelines for methanol Poisoning, Barceloux, D. G., Randall Bond, G., Krenzelok, E. P., Cooper, H., & Allister Vale, J. (2002). American Academy of Clinical Toxicology practice guidelines on the treatment of methanol poisoning. Journal of Toxicology: Clinical Toxicology, 40(4), 415-446. Kruse, J. A. (1992). Methanol poisoning. Intensive care medicine, 18(7), 391-397. Liu, J. J., Daya, M. R., Carrasquillo, O., & Kales, S. N. (1998). Prognostic factors in patients with methanol poisoning. Journal of Toxicology: Clinical Toxicology, 36(3), 175-181. Jacobsen, D., Jansen, H., Wiik‐Larsen, E., Bredesen, J. E., & Halvorsen, S. (1982). Studies on methanol poisoning. Journal of Internal Medicine, 212(1‐2), 5-10. Hassanian-Moghaddam, H., Pajoumand, A., Dadgar, S. M., & Shadnia, S. H. (2007). Prognostic factors in methanol poisoning. Human & experimental toxicology, 26(7), 583-586. Becker, C. E. (1983). Methanol poisoning. The Journal of emergency medicine, 1(1), 51-58. Davis, L. E., Hudson, D., Benson, B. E., Jones Easom, L. A., & Coleman, J. K. (2002). Methanol poisoning exposures in the United States: 1993–1998. Journal of Toxicology: Clinical Toxicology, 40(4), 499-505.